A long-vacant property near Smith and Dodd has a new owner with some serious plans to class up the joint. Deckci Decor, an event decor rental company, is in the process of moving into the former O’Reilly Auto Parts location at 973 / 975 Smith, next door to Smith Liquors. The building, while well maintained, has been vacant for at least five years. Once the company is moved in, Deckci will operate out of the north half of the building (973 Smith) and lease out the other half. With Taste of Love, one of the top bakeries in the city for custom wedding cakes, and letterpress shop Nomadic Press nearby, perhaps the neighborhood is becoming a hub for the wedding-planning industry? At any rate, it’s great to see this classic retail building in great hands. Welcome to the neighborhood! 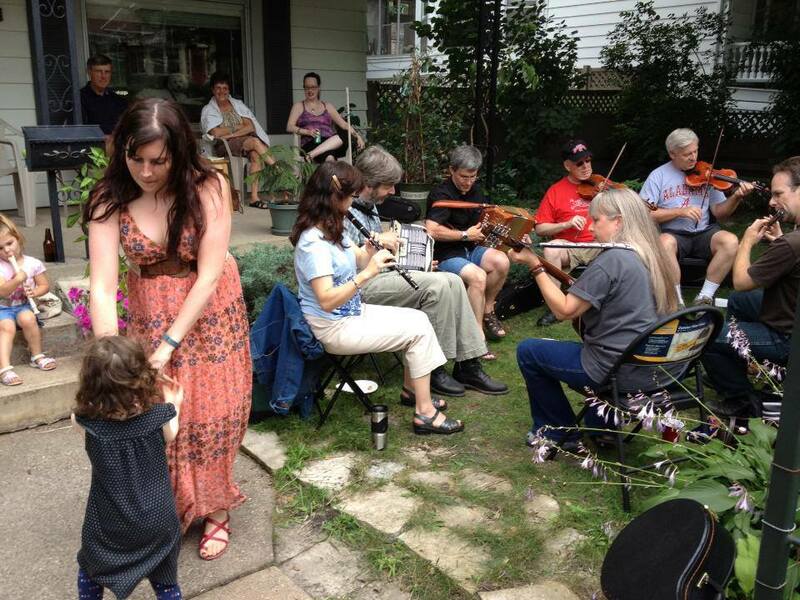 This spontaneous Celtic jam on Smith Avenue was an amazing addition to last year’s Art on the Avenue. Monday night, a handful of neighborhood leaders and business owners gathered at Amore Coffee to start laying the groundwork for the second Art on the Avenue event. We’re shooting once again for early-mid August. The meeting focused on lessons learned from last year’s event, and ideas to make it bigger and more vibrant this year. Christine Shyne from the West Side Community Organization will once again be spearheading the planning, with volunteers from the neighborhood doing much of the heavy lifting. Community participation is key. This is a grassroots, neighborhood event. Because the main business nodes on Smith Avenue are spaced so far apart, we’ll try to find events/activities/etc that will help fill in the gaps. Last year we were on the same weekend as two major art fairs in Minneapolis. While this likely didn’t impact attendance, it does limit the pool of artists available to work with. While last year’s event was big for some businesses like Amore and the Cherokee, few of the artists reported any sales (but most still enjoyed showing their work to a new audience). We really want to hear from artists about how to make this a great experience for them. We’ll probably consolidate everything into a single day. Some people last year came out on Friday evening only to find many of the exhibits already closed. We’ll try to get food vendors as well, with a priority placed on neighborhood businesses. If you attended Art on the Avenue last year, let us know what you think we can do to make it even better this year. And watch this space for updates (and calls for volunteers and donations). Did you know we have a pool? After years of effort by neighborhood volunteers, the Baker Community Center is getting ready for a relaunch. The center, which is adjacent to Cherokee Heights Elementary at Charlton and Page, has been arguably underutilized for years, but is about to enter a new era thanks to an operating agreement between St. Paul Schools and the YMCA. 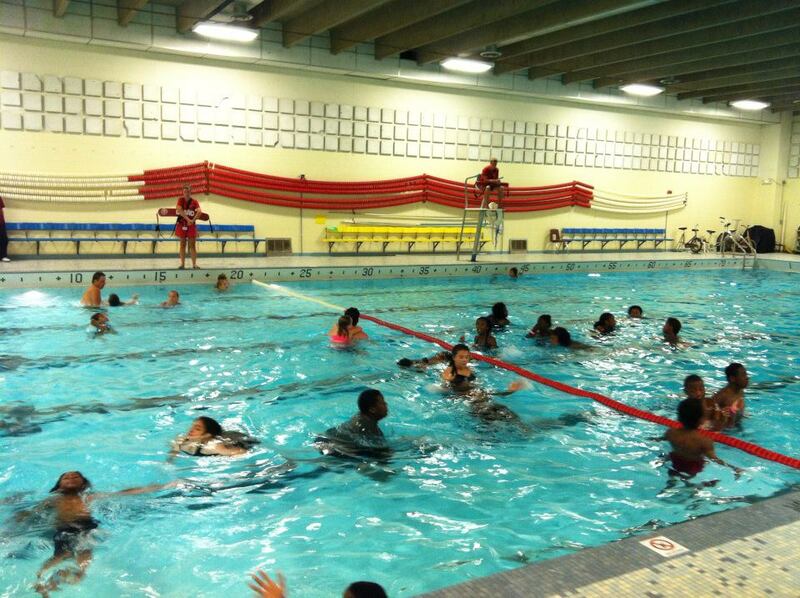 The YMCA will be operating the pool, so kids will need to pass a swim test to use it unsupervised (for those with little kids, the shallowest part of the pool is 3 1/2 feet deep). The event is also an opportunity to talk with organizers about activities you’d like to see at the facility. If you’re interested in attending, you should RSVP via this Facebook event page or email nelsonjulieann@gmail.com. They’d like to know how many people to expect. Thanks to everyone who’s helped bring this great neighborhood asset back to life.